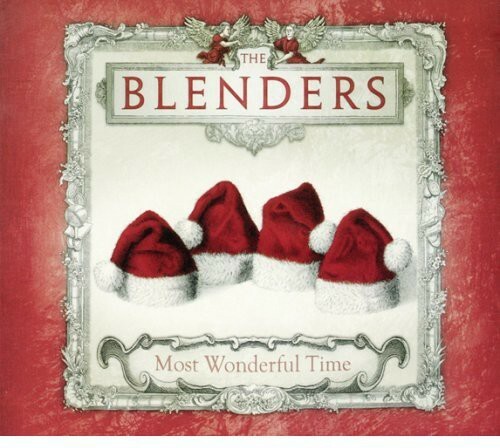 In years past, if we were asked for our favorite Christmas CD, "Nog," by the Blenders came right to the tip of our minds. The all male quartet was the definition of smooth-as-silk, break-your-heart harmonies and Omigod arrangements. But today we found "Time" in our pile of review CDs, and we realized that Santa loves Contemporary a cappella. 12 cuts, all crackling like a yule log with spot-on vocal percussion - the title tune, "Go Tell it on the Mountain," "It Came Upon a Midnight Clear," "Frosty the Snowman/Here Comes Santa Claus" medley, "I Wonder As I Wander," a funky "Deck the Halls," a bluenote "O Little Town of Bethlehem," the walking-jazzy "I Bought You a Plastic Star (for Your Aluminum Tree"), "Away In A Manger," and the Firsesign Theater-ish sound-skit "Christmas Eve," which segues into the incongruous, disco band-accompanied "All Wrapped Up." Each of these songs is a gem that needs a few listens to truly appreciate. The Men in Blend have done it again!